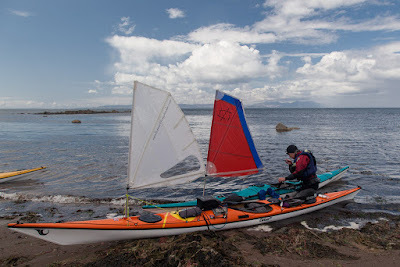 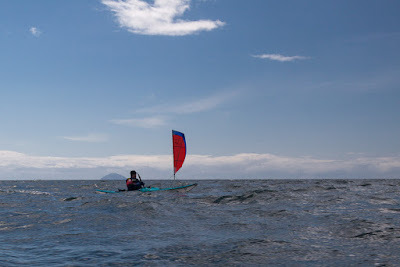 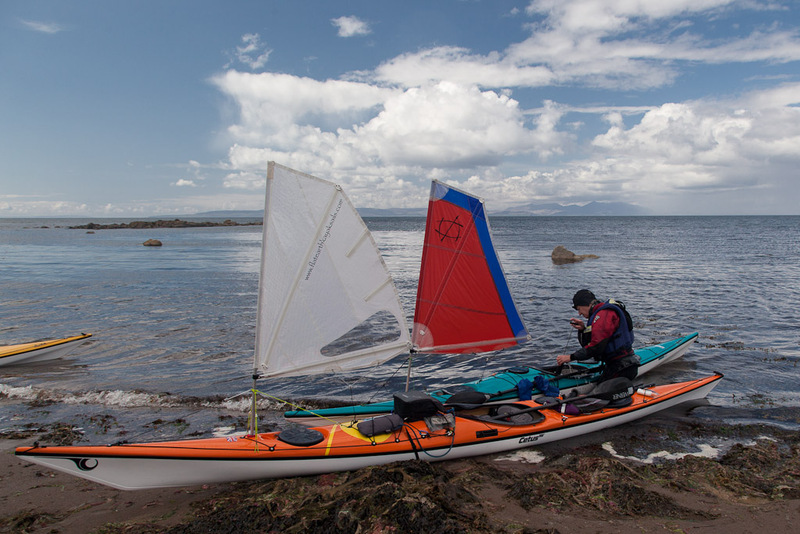 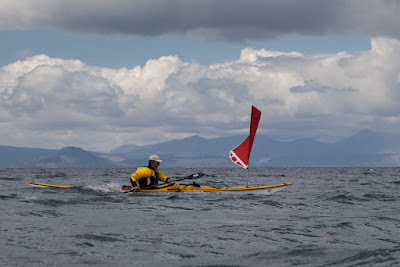 Sea kayaking with seakayakphoto.com: The power of kayak sailing. 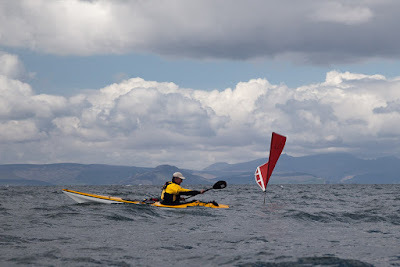 The power of kayak sailing. 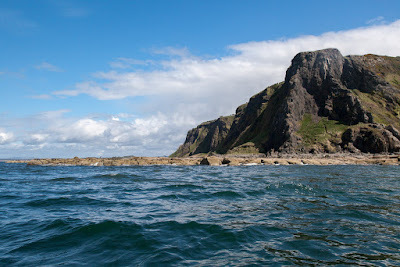 When we finally emerged from the pub at Dunure, the sun had finally put in an appearance and the strong May light was quite dazzling. ...the appropriately named Heads of Ayr. 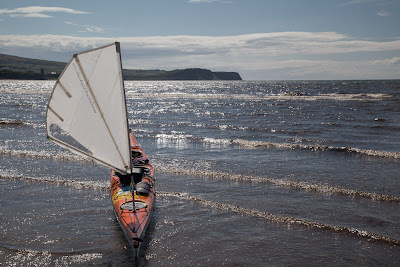 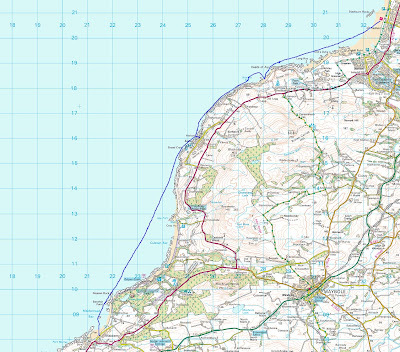 We literally touched down at Seafield having completed the 19km from Maidens 90 minutes faster than our best paddling only time. Such is the power and fun of kayak sailing. 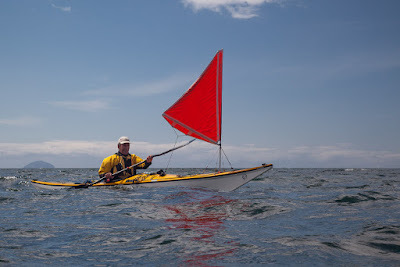 Kayak sailing is amazing!!! 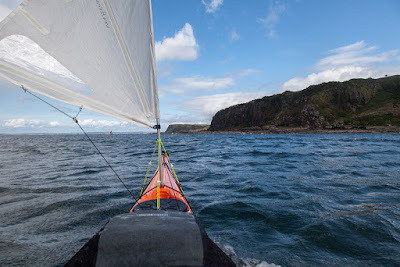 A lot of speed and adrenaline!